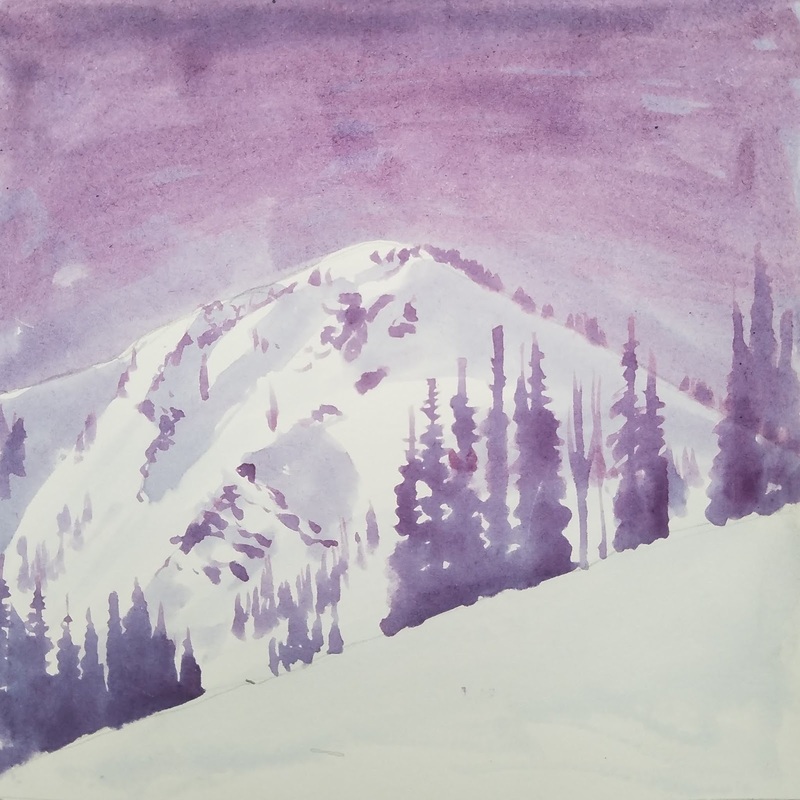 Jupiter Peak in blueberry ink. 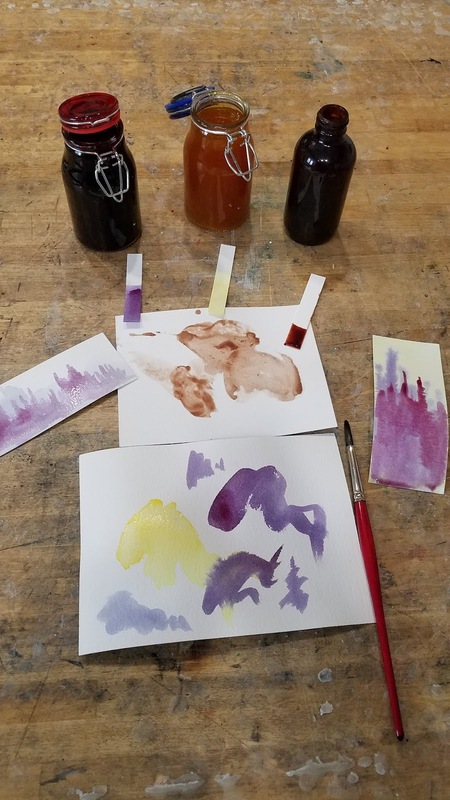 I'm learning to make my own inks and this was from one of my first batches. As it is winter, foraging for natural materials is a bit tough, so I bought a bag of frozen wild blueberries, boiled and mashed them down, strained and filter out the juice until I had a rich, cherry-colored juice. But the ink is something a bit like magic and starts off as bright red, but then deepens to a beautiful purple. Watching it change colors is like watching a sunset. 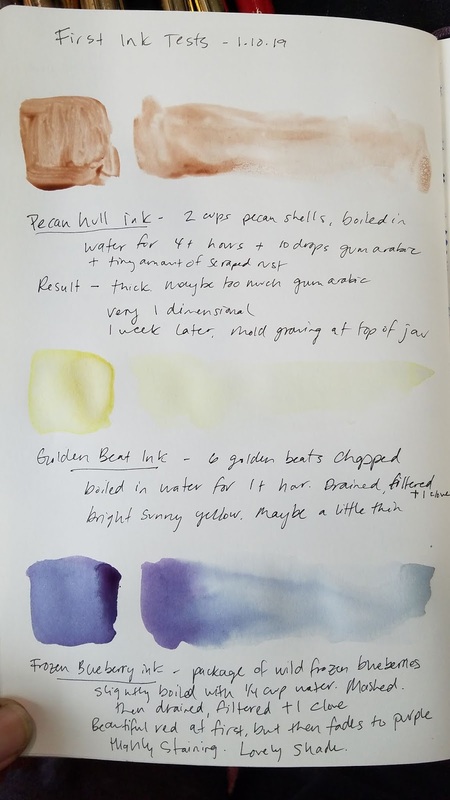 I also made a batch of ink from golden beets, which made a beautiful lemon yellow. I am fascinated and hooked. 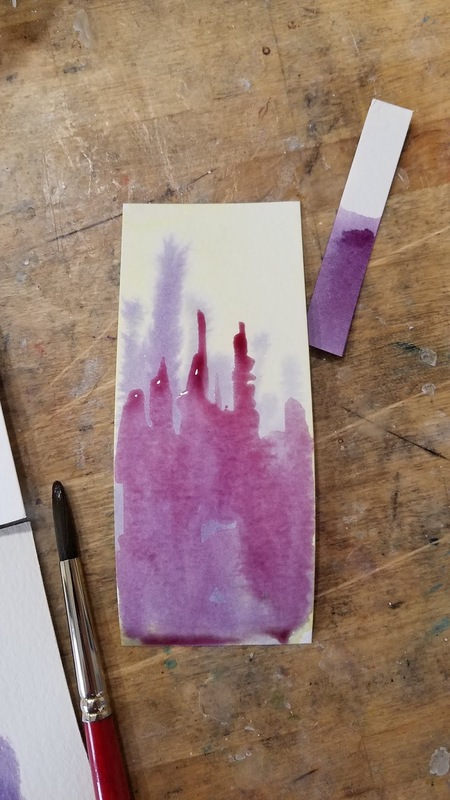 What else can I make ink from? These are the first inks I made. From left to right in jars - blueberry, golden beet, and pecan shells. The blueberry and golden ink turned out beautiful! Instructions/ingredients and results from the three inks.